Evacuation orders have been issued to residents in many towns and cities in southern Iranian Khuzestan and Lorestan provinces, and there is the possibility of every eventuality. 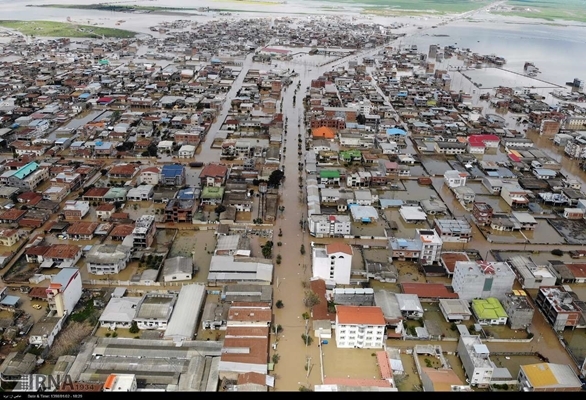 Considerable damage has been inflicted to flood-stricken areas, and over 70 of our compatriots have lost their lives in the natural disaster. Still, the most obvious point with regards to the management of flood affairs was the confusion and bewilderment of authorities and a lack of coordination among different institutions. Indubitably, if the necessary measures to tackle possible floods had been adopted before the disaster hit, the extent of the damage and casualties would have decreased greatly. To discuss and analyze the reasons and consequences of the recent floods which hit much of Iran, the Arman daily has had an interview with Professor Parviz Kordavani, a prominent Iranian geographer and environmental expert. Experts from the interview summarized by the IFP follow. 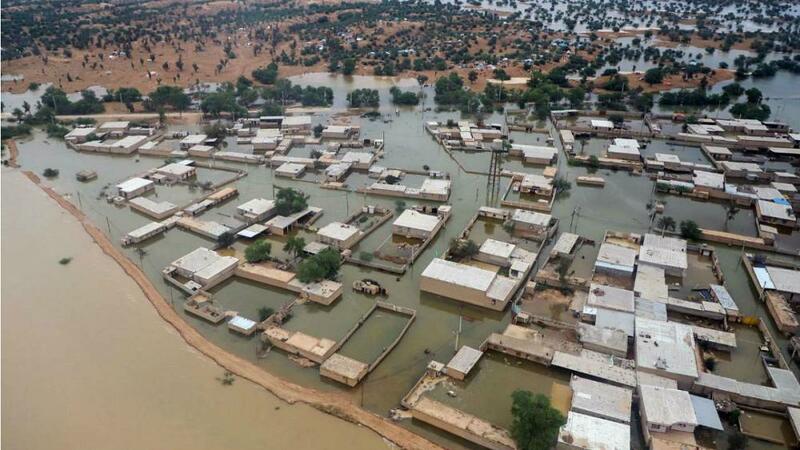 There is much speculation that Iran has slipped into the rainfall period with the recent floods. Do you confirm this? No. Such a thing has not happened and Iran has not entered the rainfall period. We are facing global warming nowadays, and this phenomenon has had several consequences. Global warming has increased rainfall in areas which receive rain. On the other hand, the amount of rainfall has dropped in areas with little rain. That is why there has not been much rainfall in Iran over the past 15 years, and there will not be much rain in the future, either. Global warming has resulted in erratic rainfall in different parts of the earth. This erratic rainfall has, for example, resulted in locations like Iran getting as much rain in one day as other locations would get in a year. Moreover, there is no snow left as it has all melted as a result of global warming. Some media had quoted me as saying that Iran has entered the rainy period. I don’t believe in such a thing at all. The recent rains in Iran have been temporary, and it is not a permanent phenomenon. Why did the recent rain in Iran immediately become so destructive? The precipitation could have been more of a blessing to us. However, they became destructive because there was no good management in that regard. Officials should have taken into account the fact that with the earth growing warmer, rainfalls would become erratic and might do more harm than good. The rainfall could have replenished subterranean water resources, whose levels have dropped by up to 400 metres in some parts of the country like Jahrom, and could have boosted farming. Before the recent rainfall, farming was improving in different parts of the country, and provinces such as Khuzestan were in a good state with regards to agricultural activities. Still, because there was no good management, the recent rain and releasing water from dams have negatively affected agriculture in the province. The most important consequence of the recent rainfall was that it decreased the lifetime of dams in the country and put dams in serious danger. Why has the lifetime of dams decreased? The situation unfolded in such a way that if such rainfall occur in the future again, authorities will have to open dam discharge gates, which will both reduce the lifetime of dams and endanger areas near rivers. More importantly, the recent flash floods have carried with them mud and soil into dams. Undoubtedly, the existence of soil in dams will considerably reduce the lifetime of dams. Unfortunately, authorities did not have an acceptable performance with regards to the management and construction of dams. What consequences will the existence of mud in dams have? The existence of mud in dams will not allow water to keep flowing easily in the reservoir behind the dam. Hence, when flooding occurs, officials say that dams are on the verge of collapse. Under such circumstances, they decide to open the upper discharge gates of dams, which would harm areas down the rivers. Some individuals, without giving any scientific evidence, regard dam building as harmful. Nevertheless, if dams are constructed on the path of floods, it will considerably decrease the extent of destruction. Many pools and wells should be dug on the potential paths of floods, so that water will be absorbed into the ground at times of rain and the intensity of floods will decrease. Rain is a God-given blessing and should be used properly. Today when they open the discharge gates, all the water flows into the sea. The proper method is to manage the water just before it is going to flow onto agricultural fields by spreading it evenly all over the fields, so that it will both improve farming in the area and replenish underground water resources. The move will help rejuvenate nature in the future as well. However, the situation has forced officials to put all these things aside and only care for people’s lives. Under the current circumstances when many people in flood-hit areas have lost their homes, what should be done to prevent this from happening again? The Aq-Qala region in northern Golestan province is located at the far end of a plain and, hence, is the lowest point of the plain. So, even a small amount of rain could trigger floods there. The mistake made by authorities is that they dredge that area, not knowing that rain would bring mud into the area again. What people did was more appropriate. They set up fences on both sides of the river using bricks and rocks, managing to harness water to a great extent. The dangerous thing is that officials say they are going to rebuild people’s homes. This is a big mistake and should not happen. In the current situation, people should not enter their homes which have become wet all through as a result of flooding as roofs are apt to collapse any moment. The presence of mud also increases the odds of the ground caving in in flood-hit areas. So, construction of homes on such land is a mistake. In this situation, what should be done instead if flood-stricken people’s homes are not reconstructed? The houses should be built in the air. In many foreign countries, multi-floor buildings are built on a structure similar to a large stool, so that floods would run from under the buildings and homes would sustain no damage. This action should be taken in areas in Iran where there is a chance of floods striking again. Another way is to make the foundation of buildings with cobblestone rather than cement and stone. If this happens, water would no longer make the walls of homes wet. Orders have been issued for the evacuation of many towns, cities and village exposed to possible flooding. Can such evacuations be a logical solution to settle the current flooding crisis? Those who are issuing evacuation orders today should not have allowed people to build homes in such areas in the first place. They should have taken all possibilities into consideration. I, for one, am warning against the condition of dams in the country. If the current situation remains the same, and if every rainfall puts dams in danger of collapse forcing authorities to open discharge gates, most dams in the country will be destroyed over the next forty or fifty years. So, I’m raising the alarms. 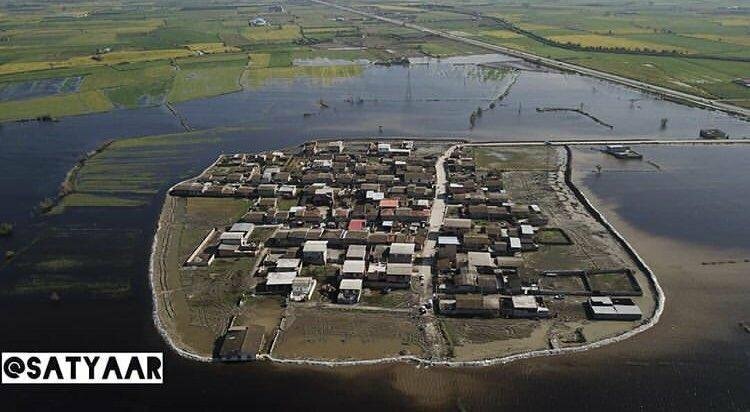 The recent flooding in the country does not mean Iran has entered the rainy period. Many a region that has increased its crops in spring, but suffered water shortage for irrigation in summer.